Some of her clients are looking for relief from stalking, a crime that she says can have serious mental and emotional impacts. According to the national Stalking Resource Center, 7.5 million people are stalked across the country every year. Maureen Wishkoski is a morning person. Wishkoski is the court advocate manager at the Women’s and Children’s Alliance in Boise. Most days she gets up before 6:00 a.m. and heads to the Ada County Courthouse, where she meets with clients in need of legal help. 7.5 million people are stalked nationwide every year. Often, she can guide her clients – usually women – to legal avenues that will keep them safe from their stalker. One of the options is to petition for a civil protection order. Protection orders can limit the kind of contact abusers are allowed to have with their victim, and make it easier for police to protect the person being stalked. If a stalker violates an order – they can be arrested immediately and charged with a felony. But Wishkoski says too often, people come to her wanting to get a protection order against an acquaintance or a complete stranger who is stalking them – and Wishkoski has to tell them they can’t get one. Idaho law on civil protection orders is narrow. If a victim hasn’t been in a romantic or domestic relationship with their stalker – or isn’t related to them – a judge has to deny them the protection. For Boise Police Department Corporal Sherri Cameron, that’s a big problem with potentially lethal consequences. Cameron is the department's domestic violence officer. The Angel Room is where BPD Domestic Violence Officer Sherri Cameron often interviews victims of abuse or stalking. 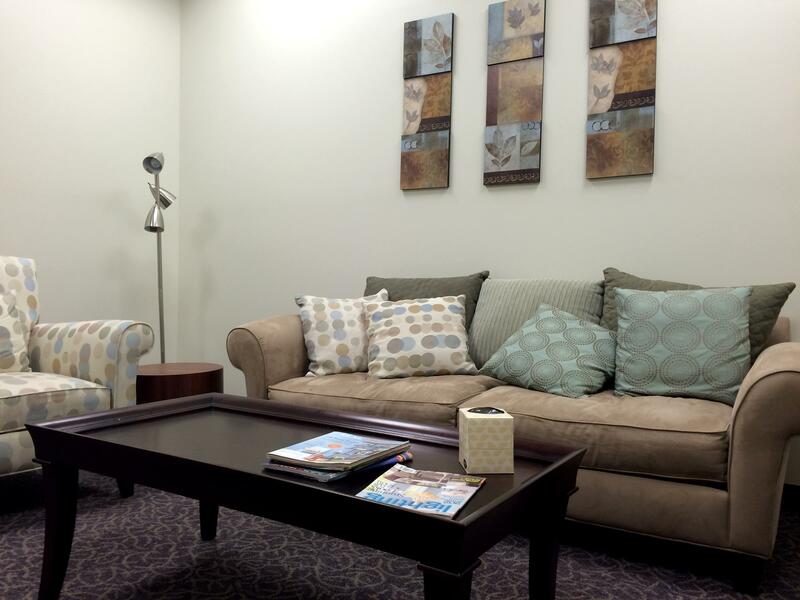 The room is meant to be a comfortable place, with plush couches and magazines. Cameron says she gets reports of stalking every week. In cases where an order can’t be granted, she works with people like Wishkoski to make a safety plan for the victim. But Cameron says that’s really a bandaid fix, and the system needs to change. That’s where Idaho State Senator Grant Burgoyne comes in. The Democrat from Boise says over the last couple of years, he started hearing from victims of stalking who’ve been unable to get protection orders. He says one particular story stuck with him. 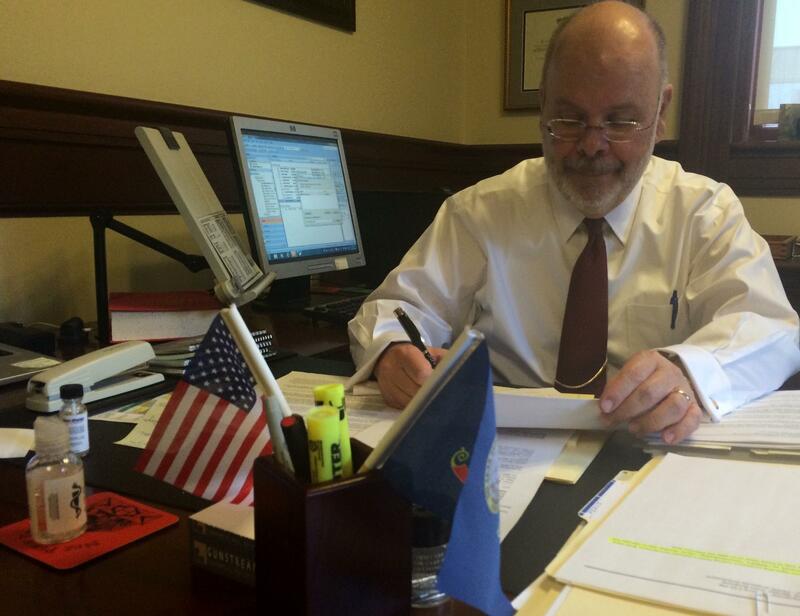 Idaho State Senator Grant Burgoyne (D-Boise) works in his office at the Idaho Capitol. The lawmaker is hopeful his bill will get passed in the legislature this year. He’s proposing a bill that would extend Idaho’s civil protection order statute to cover people who are being stalked by a stranger or acquaintance. Burgoyne – an attorney – says he’s taken into account skepticism from those concerned that a law like this could burden the legal system. One of the people ready to testify in favor of Burgoyne’s bill is Jennifer Landhuis, a consultant for the Stalking Resource Center. Landhuis says Idaho is behind the curve when it comes to protection orders. She says lawmakers may not know how often stalking is happening in the state, so education is key. Landhuis says stalkers are insidious, and protection orders won’t always work. But she says for people who can’t get this legal protection in Idaho right now, Burgoyne’s bill could help restore their faith in the system, and help them get back to their lives. The bill was introduced in a Senate committee earlier this week. Burgoyne is optimistic the proposal will get a hearing next week. 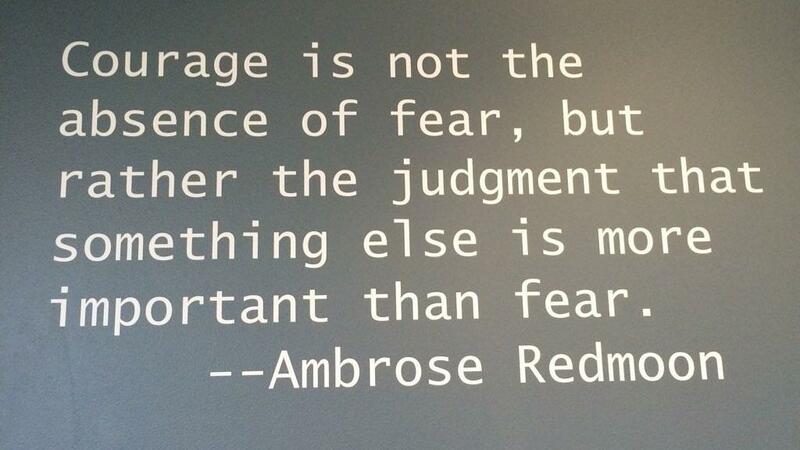 This is one of a number of messages on the walls at the Boise Police Department. If you’re being stalked by a person who isn’t a relative or a romantic partner in Idaho, there’s not much the police can do to protect you from having contact. Civil protective orders here don’t cover stalking behavior by acquaintances or strangers. But Idaho State Sen. Grant Burgoyne, D-Boise, wants to change that. The lawmaker and attorney says he’s been working on legislation to broaden the categories governing protective orders since 2013. Last weekend, a shooting in Boise’s North End neighborhood sent a woman to the hospital with serious injuries. The victim – Mikaela Zabel-Gravatt – is recovering, and Christopher Wirfs is facing felony charges. The alleged shooter is charged with felony aggravated battery, use of a deadly weapon and unlawful possession of a firearm. The incident exposes a gap in Idaho's legal code when it comes to getting protection from stalkers.